CLS has appointed Trevor Suarez as its newest chief financial officer (CFO) where he will be based out of London on CLS’s Executive Management Committee. 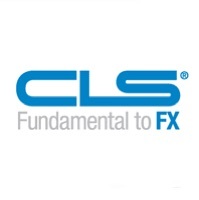 In his new role as the CFO at CLS Group, Mr. Suarez will be reporting to David Puth, chief executive officer of CLS, helping the group’s Audit and Finance Committee. He originally joined CLS roughly a year ago as the head of financial planning and snalysis, having held the role of co-CFO since September. Before joining CLS back in February 2014, Mr. Suarez worked as the finance director at Lloyds Bank as well as the head of group planning & performance at Halifax Bank of Scotland. “I look forward to working with him as we continue to focus on maintaining a strong and safe balance sheet, delivering on our strategic initiatives and making the technology investment required to meet the needs of our settlement members,” he added.